Warner Bros. has released the first trailer for the upcoming movie based on Namco Bandai's charming RPG series Ni no Kuni. 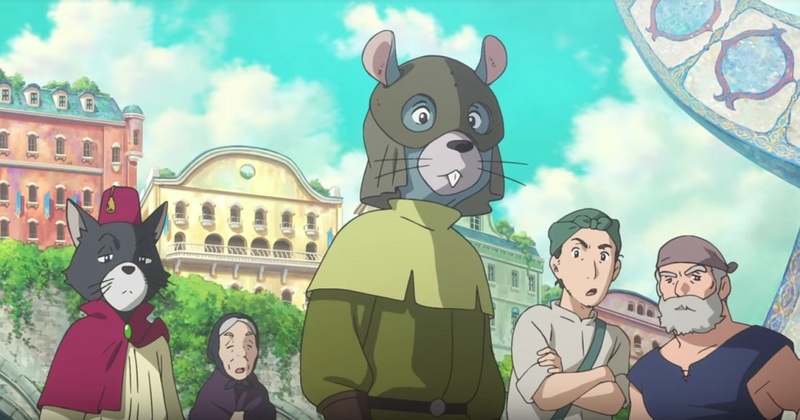 Produced by Level-5 and scheduled for a Summer release in Japan, the anime hopes to capture the beauty and adventure of the fantasy video games. Plot details concern three friends, Yu, Haru and Kotona, who are able to travel between the real world and the Ni no Kuni universe after a dramatic incident involving the trio. While the original game, Wrath of the White Witch, featured the input of Studio Ghibli (one of the finest animation team in the world), they are not involved with the movie's production. Fortunately, one of their former animators, Yoshiyuki Momose, is on board as director, and is no doubt hoping to bring some of that classic Ghibli style, storytelling and "magic" to the picture. Add a score by the legendary Joe Hisaishi, and the adaptation is off to a good start. Ni no Kuni is set for release in Japanese theatres this Summer.